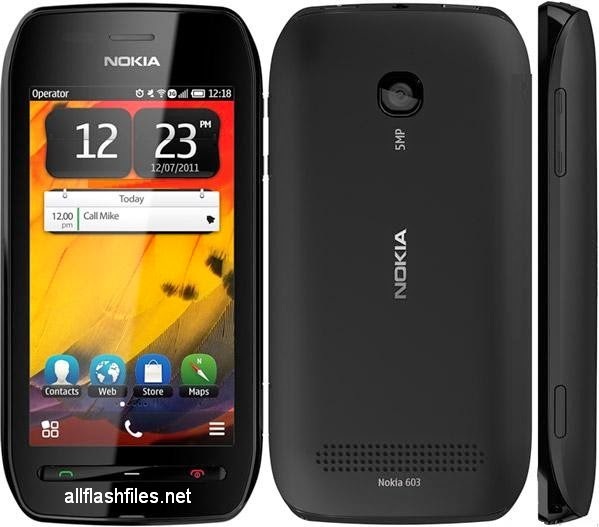 The latest flash files of nokia 603 has been released and simple downloading link is available for download. You can use flash files for flashing mobiles or update mobile old software. Mobile developers are releasing and put free and working downloading link on its official servers for downloading. The flash files are working and cleaned by dangerous viruses. You can update your mobile old firmware from its official site if your mobile can support for online updating. Your nokie bb5 mobile firmware consist on three main parts mcu,ppm and cnt. In these three parts your mobile all data stores. You can use different tools or boxes for flashing like Phoenix service, Nemesis service, Advance turbo flasher, UFS box, Infinity box etc. Flashing tools lets you to flash your mobiles through usb data cable without flashing box. It is same stage for you first you will need to download latest flash files of your mobiles then put your flash file in one folder. Before flashing you will need to take a backup of your important data like images, messages and contacts because after flashing you will lose your all of data and your mobile will restored in its original settings. You can download latest flash files of your mobile phone from below provided links.